On February 26, 2017, Samsung is rumored to be announcing the new Galaxy S8 smartphone. Reports are saying that the company is already ordering the components for the new phone. And if this is indeed true, it means that the announcement is close. Another important aspect of this new device will be its redeeming qualities. Samsung has just gotten out of a big mess. Or have they? The idea is that the Note 7 production is completely cancelled. The recall did not work in Samsung’s favor and now, they have to work hard to make sure that their clients are not leaving the boat anytime soon. Of course, many rumors have been circulating around the Internet for the past year or so. What the phone will look like, what specs will it have, the camera or the design. And most importantly, will it explode? Joke aside, now, some new info has emerged an it offers a more detailed analysis about how the new phone might function and look. Reportedly, the Home button until now present at the bottom of the phone will be removed. Instead, the new phone will have an edge-to-edge display, which will include a digital Home button. The fingerprint sensor will not disappear tough. Rumor has it that it will be incorporated directly into the screen. This info comes right after the one which relates that Apple will be doing this too with their iPhone 8. If this is true, Samsung will have a serious head start. Finally! The new Galaxy 8 will most likely feature dual-lens cameras. This will help with the resolution and quality of the pictures. It will be like having your own DSLR in your pocket. One of the most interesting features is the removal of the audio jack. Yes! Samsung plans to do that too. Reportedly, the phone will feature only a USB port which can be used for charging, data transfer and headphones. It seems like borrowing is the new inventing. But a serious company must always follow the trend. And if the trend is not really welcomed? Follow it anyway! They will come around eventually! Rumor has it that the Galaxy S8 will be available in two display sizes. 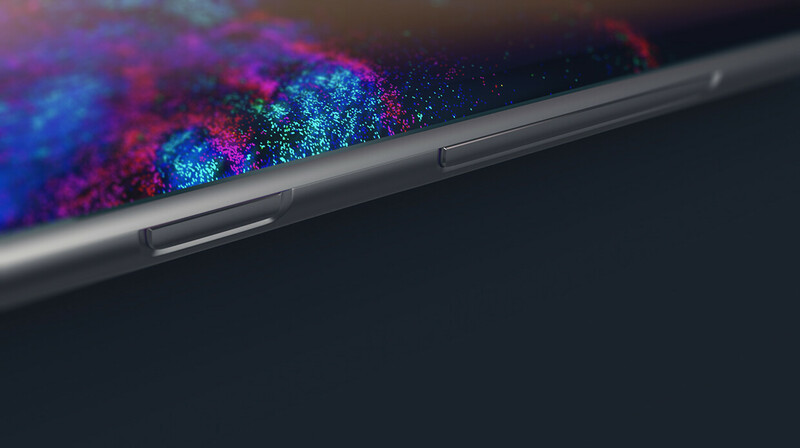 Reportedly, both will feature the Edge screen. According to some reports, the sizes of the display will be of either 5.1-inch or 5.5-inch. In what regards their names, much information is still undisclosed. But it is expected that each version will have its own name. After all, Samsung has done this with all their devices. To conclude, the new Galaxy S8 phone will have much work to do. Samsung will do everything they can to try and erase the unfortunate Note 7 from people’s memories. Some will forget it. Some will not. There is no doubt that the company has lost some of its customers because of this mess. But if they do their job right this time, they might just get them back.